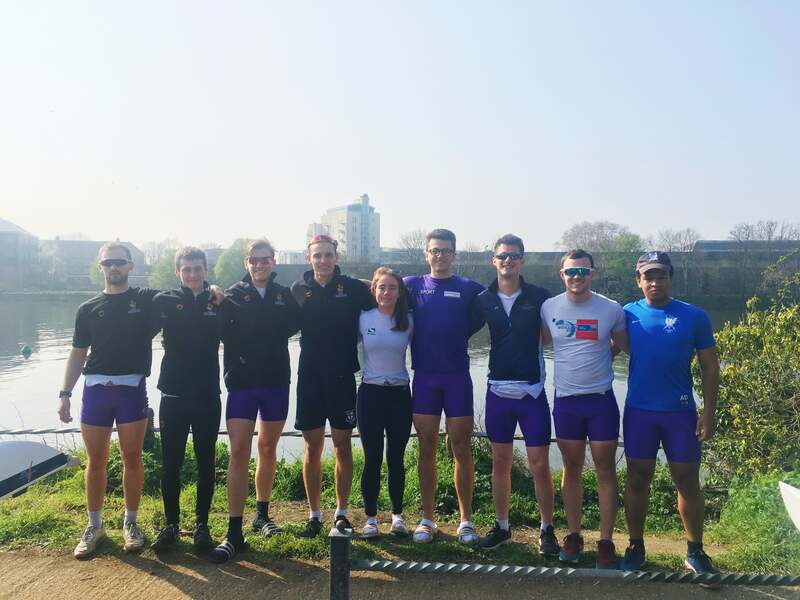 After a positive week’s water sessions, the Senior Men’s 8+ were looking forward to racing at Eights Head on the 30th April. It would be the last head race of MUBC’s calendar and they were determined to put in a good performance. After the morning stress of missing a number, we were given a temporary number and able to race. It was the first time coxing the Tideway for Celine Vine, but she held her line brilliantly, even when coming through Hammersmith with four other crews. The crew raced well and finished joint 169th, dropping 4 places from their starting number. Unfortunately, due to the cancellation of WeHoRR, and not being in the revised start order, our Senior Women’s Squad missed out on racing on the Tideway this year. After a mixed head season all squads are looking forward to better weather, the start of regatta season, and our training camp in Portugal on 16th April. A massive thank you to everyone that has put in their time and effort to enable us to race especially: Piero Ladhur, John Impey, Ruby Jordan, and everyone else involved in coaching, organising, and supporting the club.